Burn injuries are considered serious injuries and can lead to permanent medical difficulties and disfiguration. For many burn victims, life will never be the same. The physical pain and emotional trauma of these accidents can last for years after the event. Some will not survive. However, restitution is available for burn victims. 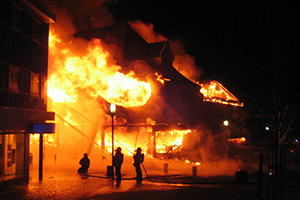 It is often an act of negligence that leads to catastrophic burn injuries. Both chemicals and fire can cause unimaginable damage to skin and tissue. If someone else caused an accident in which you or someone you know was injured, reach out to an experienced attorney in Honolulu, Hawai’i. Medical costs combined with lost wages after an accident can leave victims with surmounting debt and a radically different future outlook. A civil lawsuit may be the only way to recover the necessary compensation to get back on the road to recovery. Attorney Dennis W. Potts is a compassionate advocate who understands burn injuries and the laws in Honolulu, Hawai’i. From talking with insurance adjusters to filing a lawsuit against the responsible party, the Law Office of Dennis W. Potts can help you obtain the financial coverage that is rightfully yours. Many people are surprised to learn there is not just one kind of burn. In fact, there are many, and each has to be treated accordingly. Thermal burns via heat or fire are most common in daily life. Touching a hot stove or car accidents may cause these types of burns. Chemical burns can be incredibly severe and must be treated according to the nature of the chemical. Those who work in industrial environments may come into contact with a wide range of chemicals that can burn and even dissolve skin. Radiation burns may be purposeful, in the case of cancer treatment, but they can also be very dangerous when caused by industrial equipment accidents. Cold temperature burns can ultimately lead to frostbite. Friction burns are also common in vehicle accident cases; however, they can arise from any accident that causes damage through friction. Unfortunately, burn accidents can even burn victims internally, leading to permanent respiratory damage. Eyes, muscles, nerves, and other body parts may never fully recover from a burn injury. When you contact the Law Office of Dennis W. Potts, he will start with a free initial case evaluation. After going over your situation, he can determine whether pursuing a lawsuit is the best course of action. Attorney Potts has more than 40 years of experience representing accident victims, and he understands how burn cases should be approached. With an AV peer review rating from Martindale-Hubbell, Attorney Potts wants to be there when you need him most. The Law Office of Dennis W. Potts works on a contingency fee basis, meaning you will not have to pay anything unless he recovers compensation on your behalf. Do not struggle with the aftermath of a devastating burn injury. Get started today with a local attorney you can trust to put your best interests first. Reach out today at (808) 537-4575 for more information.